Prof. Abadi’s research interests are in scalable systems, with a particular focus on the architecture of scalable database systems. 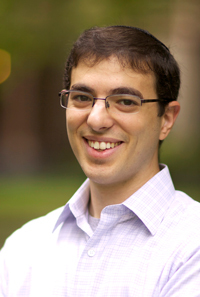 Before joining the Yale computer science faculty, he spent four years at the Massachusetts Institute of Technology where he received his Ph.D. Abadi has been a recipient of a Churchill Scholarship, an NSF CAREER Award, a Sloan Research Fellowship, the 2007 VLDB Best Paper Award, the 2008 SIGMOD Jim Gray Doctoral Dissertation Award, and the 2013 VLDB Early Career Researcher Award. His research on HadoopDB is currently being commercialized by Hadapt, where Abadi also serves as chief scientist. He blogs at DBMS Musings and tweets at @daniel_abadi.